Some people have misconception about origination fees, so let me explain how this works. An origination fee is a form of points. 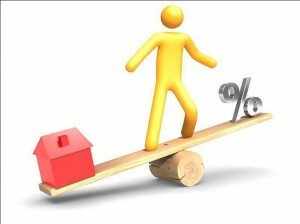 A point is 1% of the loan amount, and it’s used to reduce your interest rate. The easiest way to understand this is to think about 2 kids at the park, playing on a see-saw. When one goes up, the other goes down. Well, in the same way, there’s a trade-off between rates and fees. The higher the rate, the lower the fees. The lower the rate, the higher the fees. This can be confusing, and it has been exploited by untrustworthy lenders, who charge extra points with no benefit to the borrower. However, it can also be a powerful tool for you to get the rate and terms that best fit your needs. Just make sure you’re working with someone you trust. For example, my policy with my clients is that I always get paid the same, regardless of the rate, terms or loan type you select. That’s how I can truly be objective in making recommendations, and you can be sure I have nothing but your best interest in mind. That doesn’t mean I never charge an origination fee. I leave it up to my clients on a case-by-case basis. In today’s market, sellers are typically agreeing to pay closing costs. If the seller is willing to pay enough costs to cover a point, I make sure my borrowers take advantage of that in order to get the best rate possible. Some lenders like to use the line “We never charge an origination.” Let me be clear, this is a marketing gimmick that’s designed to make you feel like you’re getting a good deal. In reality…. The lender who markets himself this way is either being dishonest with you in how he explains “points” or he’s limiting the options he offers you. Either way, you’re the one who loses.